One of the most rewarding things about Plastic Surgery is making our patients feel confident and beautiful. Often times, women come to us with hopes of filling out their little black dress better than they did at the holidays last year. We know all procedures can seem a little intimidating, so today we are going to answer all of your questions about Breast Augmentation Surgery. The ideal candidate for Breast Augmentation Surgery is over the age of 18 and is in good physical and psychological health. Post-op you will need to take about two weeks off from work. During this time, you will need someone to assist you with routine tasks for about 1-2 days. You may have a little trouble bending over or lifting your arms for the first few weeks. You can also expect that there could be some swelling for several weeks. You will be allowed to resume regular exercise after six weeks. All procedures are performed in a hospital or surgery center. General Anesthesia is commonly used when Breast Augmentation Surgery is being performed. During the procedure you will be completely unconscious and unable to feel any pain. Should I consider a Saline or a Silicon implant? We have both! It’s best to consult your doctor about your desired results to help you make the decision that is right for you. In most cases, silicone implants look and feel more natural and have a decreased risk of the breast implant ripping. How do I know what size implant to get? Consult your doctor about the size and shape of your Breast Implant. We offer a variety to choose from. Consider bringing in photos of ideal results to your consultation to help you make the decision. Can I breast feed after having Breast Augmentation Surgery? This is definitely something you will want to talk to your doctor about. There are several variables that can effect this like where the incisions are made, where your implants are located, and why you needed/wanted Breast Augmentation Surgery. Taking these things into consideration, it is possible to breast feed post Breast Augmentation Surgery, but you may need to enlist help from a lactation consultant. The national average surgeon fee for breast augmentation according to the American Society of Plastic Surgeons (ASPS) was $3,708 in 2014. This amount does not include operating room fees or anesthesia fees. Now through the end of the year we are offering special pricing on Breast Augmentation Surgery. There is no better time than now to book! Is financing available for my operation? 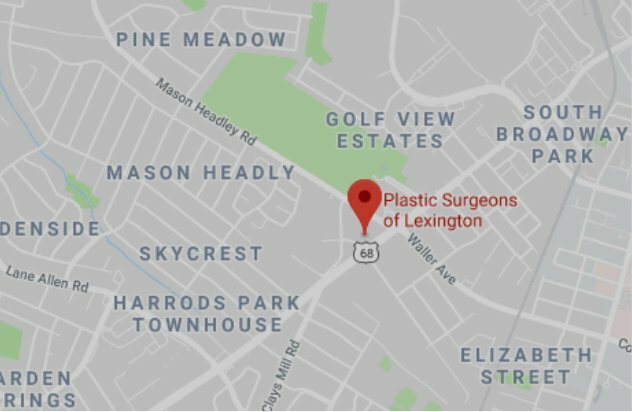 At Plastic Surgeons of Lexington, we do offer a variety of payment options and financing through CareCredit and Prosper Healthcare Lending. Do you have a question we didn’t answer today? You can always call our office at (859) 276-3883. Ready to schedule a consult? We are excited for the opportunity to help enhance an already beautiful you! Our Special Pricing on Breast Augmentation Surgery is only available for a short period of time. Don’t miss out on this opportunity.